Since the 19th century, the women of Gees Bend in southern Alabama have created stunning, vibrant quilts. 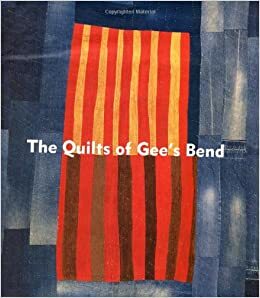 Beautifully illustrated with 110 color illustrations, The Quilts of Gees Bend includes a historical overview of the two hundred years of extraordinary quilt-making in this African-American community, its people, and their art-making tradition. This book is being·released in conjunction with a national exhibition tour including The Museum of Fine Art, Houston, the Whitney Museum of American Art, The Corcoran Gallery of Art, The Museum of Fine Art, Boston, The Cleveland Museum of Art, The Milwaukee Art Museum, The High Museum of Art, Atlanta, The Mobile Museum of Art, and The Memphis Brooks Museum of Art.